Dr. Fey is a highly experienced and caring doctor who is committed to providing high quality comprehensive care. Dr. Pierre Fey approaches each patient as an individual with compassion as they move toward pain relief, healing and optimum health. 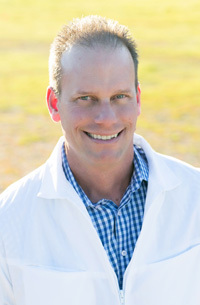 Dr. Fey graduated in 1996 from Life West College of Chiropractic in San Lorenzo, CA. Besides spinal care, Dr. Fey also specializes in extremity conditions such as shoulder and hip bursitis, knee tendonitis, Plantar Fasciitis, Morton’s Neuromas, heel and foot pain, elbow and wrist conditions and carpal tunnel syndrome, among others. He has three children and is very comfortable working with child ailments. Dr. Fey initially worked with the San Diego Sports Medicine Center where he treated many professional athletes from the San Diego Chargers professional football team and the San Diego Padres professional baseball team. Dr. Fey moved to San Francisco in 1992 where he worked with the San Francisco 49ers professional football team and the San Francisco Giants professional baseball team with his mentor Dr. Nick Athens. Dr. Fey has many celebrity patients who he treats with the utmost discretion in the office and at their homes. Recently Dr. Fey has also become certified as a Veterinarian Orthopedic Manipulation for small animals and equines. For the past year he has worked with Ventura County Sheriffs K-9 department adjusting the K-9 dogs and their handlers. Dr. Fey has been in practice for almost 17 years and he has been featured in local publications. His motto is to always give the patient the best service and treatment, alleviating all pain while teaching his patients ways to improve their level of health care though exercise and spinal maintenance. Ventura County Auxiliary Children’s Services- 13 years of exemplary donations of toys and school supplies collected in exchange for Chiropractic services. To receive world class chiropractic health care from a team of highly experienced professionals, please contact us. 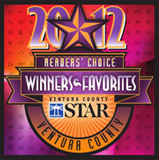 Dr. Fey has been named *Readers Choice Top Chiropractor in the Ventura County Star Newspaper 2 years in a row! Dr. Fey is happy to answer any Chiropractic questions you may have. Please click here to email us today.